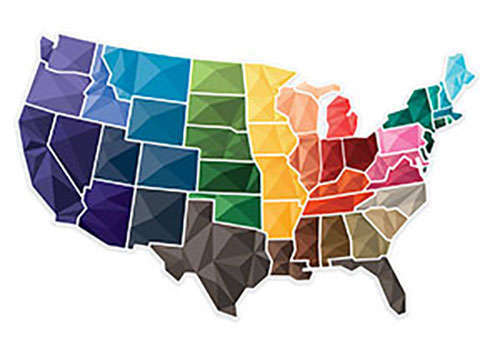 The Substance Abuse and Mental Health Services Administration (SAMHSA) conducts the annual National Survey on Drug Use and Health (NSDUH), a major source of information on substance use, abuse, and dependence among Americans 12 years and older. Survey respondents report whether they have used specific substances ever in their lives (lifetime), over the past year, and over the past month (also referred to as "current use"). Most analyses focus on past-month use. The following are facts and statistics on substance use in the United States in 2013, the most recent year for NSDUH survey results. Approximately 67,800 people responded to the survey in 2013. Illicit drug use in the United States has been increasing. In 2013, an estimated 24.6 million Americans aged 12 or older—9.4 percent of the population—had used an illicit drug in the past month. This number is up from 8.3 percent in 2002. The increase mostly reflects a recent rise in use of marijuana, the most commonly used illicit drug. Marijuana use has increased since 2007. In 2013, there were 19.8 million current users—about 7.5 percent of people aged 12 or older—up from 14.5 million (5.8 percent) in 2007. Use of most drugs other than marijuana has stabilized over the past decade or has declined. In 2013, 6.5 million Americans aged 12 or older (or 2.5 percent) had used prescription drugs nonmedically in the past month. Prescription drugs include pain relievers, tranquilizers, stimulants, and sedatives. And 1.3 million Americans (0.5 percent) had used hallucinogens (a category that includes ecstasy and LSD) in the past month. Cocaine use has gone down in the last few years. In 2013, the number of current users aged 12 or older was 1.5 million. This number is lower than in 2002 to 2007 (ranging from 2.0 million to 2.4 million). Methamphetamine use was higher in 2013, with 595,000 current users, compared with 353,000 users in 2010. 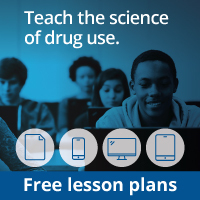 Most people use drugs for the first time when they are teenagers. There were just over 2.8 million new users of illicit drugs in 2013, or about 7,800 new users per day. Over half (54.1 percent) were under 18 years of age. More than half of new illicit drug users begin with marijuana. Next most common are prescription pain relievers, followed by inhalants (which is most common among younger teens). Drug use is highest among people in their late teens and twenties. In 2013, 22.6 percent of 18- to 20-year-olds reported using an illicit drug in the past month. Drug use is increasing among people in their fifties and early sixties. This increase is, in part, due to the aging of the baby boomers, whose rates of illicit drug use have historically been higher than those of previous generations. Binge and heavy drinking are more widespread among men than women. In 2013, 30.2 percent of men and 16.0 percent of women 12 and older reported binge drinking in the past month. And 9.5 percent of men and 3.3 percent of women reported heavy alcohol use. Driving under the influence of alcohol has also declined slightly. In 2013, an estimated 28.7 million people, or 10.9 percent of persons aged 12 or older, had driven under the influence of alcohol at least once in the past year, down from 14.2 percent in 2002. Although this decline is encouraging, any driving under the influence remains a cause for concern. Fewer Americans are smoking. In 2013, an estimated 55.8 million Americans aged 12 or older, or 21.3 percent of the population, were current cigarette smokers. This reflects a continual but slow downward trend from 2002, when the rate was 26 percent. Teen smoking is declining more rapidly. The rate of past-month cigarette use among 12- to 17-year-olds went from 13 percent in 2002 to 5.6 percent in 2013. Rates of alcohol dependence/abuse declined from 2002 to 2013. In 2013, 17.3 million Americans (6.6 percent of the population) were dependent on alcohol or had problems related to their alcohol use (abuse). This is a decline from 18.1 million (or 7.7 percent) in 2002. After alcohol, marijuana has the highest rate of dependence or abuse among all drugs. In 2013, 4.2 million Americans met clinical criteria for dependence or abuse of marijuana in the past year—more than twice the number for dependence/abuse of prescription pain relievers (1.9 million) and nearly five times the number for dependence/abuse of cocaine (855,000). There continues to be a large "treatment gap" in this country. In 2013, an estimated 22.7 million Americans (8.6 percent) needed treatment for a problem related to drugs or alcohol, but only about 2.5 million people (0.9 percent) received treatment at a specialty facility. *Note that the terms dependence and abuse as used in the NSDUH are based on diagnostic categories used in the Fourth Edition of the Diagnostic and Statistical Manual of Mental Disorders (DSM-IV); in the newly published Fifth Edition (DSM-V), those categories have been replaced by a single Substance Use Disorder spectrum. * "Illicit" refers to use of illegal drugs, including marijuana according to federal law, and misuse of prescription drugs. † Binge drinking is five or more drinks on the same occasion. Heavy drinking is binge drinking on at least five separate days in the past month. NIDA. "Nationwide Trends." National Institute on Drug Abuse, 25 Jun. 2015, https://www.drugabuse.gov/publications/drugfacts/nationwide-trends. NIDA. Nationwide Trends. National Institute on Drug Abuse website. 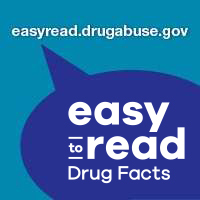 https://www.drugabuse.gov/publications/drugfacts/nationwide-trends. June 25, 2015.